At What To Do – VI, we take pride in our family of advertisers. This group of restaurateurs and food service professionals has amazed us with their resilience and creativity. In the face of one of the worst disasters most of us have ever experienced, these heroes of the industry have bounced back with charity of spirit, awesome events, and innovative and delicious menus! Nothing slows down Mathayom Vacharat and St. John Catering. Mathayom arrived on St. John the day before Marilyn hit in 1995, so he was no stranger to the aftermath of a catastrophic hurricane. There was no way Mat was going to let IrMaria beat him down. In fact, St. John Catering’s fundraising efforts, resilience, and creative problem solving has been an inspiration to all St. Johnians. 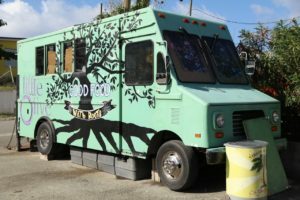 An example of this creativity was their relocation to the Little Olive food truck after the company’s newly remodeled catering hall and kitchens were flattened to the ground. Since November 21st, St. John Catering has been offering amazing menus out of the Little Olive truck like the following from Monday through Friday, 11 a.m. to 5 p.m. The truck is temporarily closed due to Mat and the crews’ non-stop event schedule for the holidays, but they will reopen on January 2nd. If that’s not enough, St. John Catering plans to take over a large, permanent space in Cruz Bay. Announcements are upcoming, so stay tuned for big news from the team at St. John Catering in the new year! General manager and co-owner Ryan Costanzo, ever the gentleman and superb host, gave What To Do’s photographer Bill Stelzer a complete tour of Extra Virgin Bistro, including the rooftop garden, when Bill dropped by with his camera unannounced. What’s more, Bill was treated to an amazing meal of fresh caught mahi-mahi and craft-cocktails on the spot. 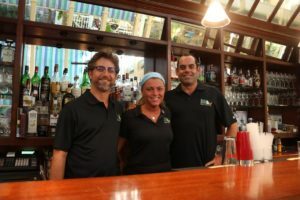 This is the generosity, service, and outstanding food – like fall-off-the-bone braised short ribs – that have made Ryan, Tommy, and their restaurant a St. John favorite. Again, post-IrMaria, creativity comes into play. 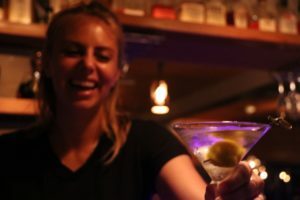 Extra Virgin has been featuring a late-Friday-night sushi menu from 10:30 p.m. until 12:30 a.m. The restaurant’s regular hours are lunch from 11 a.m. to 3 p.m. and dinner 5:30 p.m. to 9 p.m. The Terrace is now open from Monday through Saturday, except for New Year’s weekend, when they will be open for New Year’s Eve on Sunday and closed for New Year’s Day on Monday. Caribbean lobster and rack of lamb are featured on the New Year’s Eve menu. The bar will be open late as part of their co-hosted DJ block-party with DR!NK and The Ish Band at the Beach Bar. 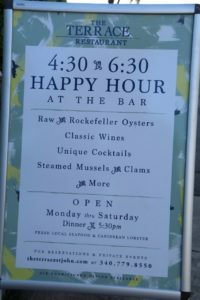 Regular hours start at 4:30 p.m. for happy hour, dinner reservations are available from 5:30 p.m to 9 p.m. Expect great specials like their fresh oyster happy hour. Wine pairing menus are coming later this month! Ocean 362 at Gallow’s Point is open and offers an incredible menu designed by new executive chef Paul Trujillo. Embracing the island farm-to-table concept, the menu at Ocean 362 uses locally sourced products from the island. The stellar view from the upstairs bar is incomparable, and the hand-crafted libations are pure alchemy. Enjoy a Cucumber Habanero Mojito with fresh mint, squeezed lime juice, cucumber habanero simple syrup and a splash of club soda! Pair it with a dish of fish and polenta featuring fresh-caught yellowtail snapper and served with grilled baby green beans, creamy polenta, and a homemade tomato pomadoro. 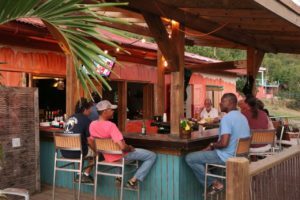 Ocean 362 is open for New Year’s Eve and will be part of the action with DJs and bands playing all along the waterfront in Cruz Bay. Ohhh, the desserts – chocolate chess pie, key lime pie, and many more – are all made from scratch by co-owner Patty Tacquard. Patty believes that there’s little in this world that can’t be made just a bit better with a little cream and sugar. Dessert is not all there is to Ocean Grill. Co-owner John Gillfillan’s uncomplicated and flavorful menu is a favorite of locals and visitors alike. Enjoy an amazing meal with a refreshing Back Porch Lemonade in the tranquility and elegance of the most charming courtyard at Mongoose Junction. Ocean Grill is open for lunch and dinner starting at 11:30 a.m. 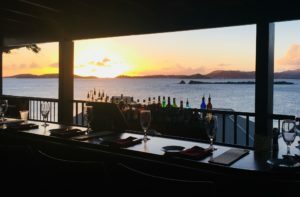 When I interviewed Indigo Grill co-owner Allison Sorjonen before the storms, her love for the islands was apparent. Among the many charms she mentioned, Allison said she wouldn’t live anywhere else because, on St. John, she can count on her neighbors 100%. 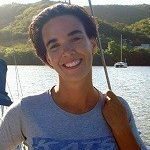 Allison considers the whole Coral Bay community her family. This faith in the community was reciprocated when the team at Indigo Grill provided free hot lunches after the hurricanes. Indigo Grill is now open from 3 p.m. to 8 p.m. (opens 1 p.m. on Sundays), closed Mondays and Tuesdays. Indigo features live music about once a week and serves pizza and a changing selection of food. More and more restaurants are opening. 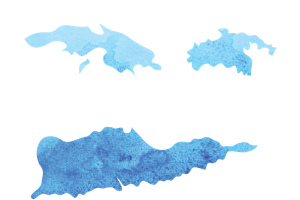 The islands are getting stronger each day. For those businesses who still have a way to go before reopening, know that your friends from both near and far believe in you. You will grow back better than ever in 2018. What To Do – VI wishes you all a happy, healthy, and prosperous New Year! Freebird creations does retail therapy from 9am til 6 pm everyday. 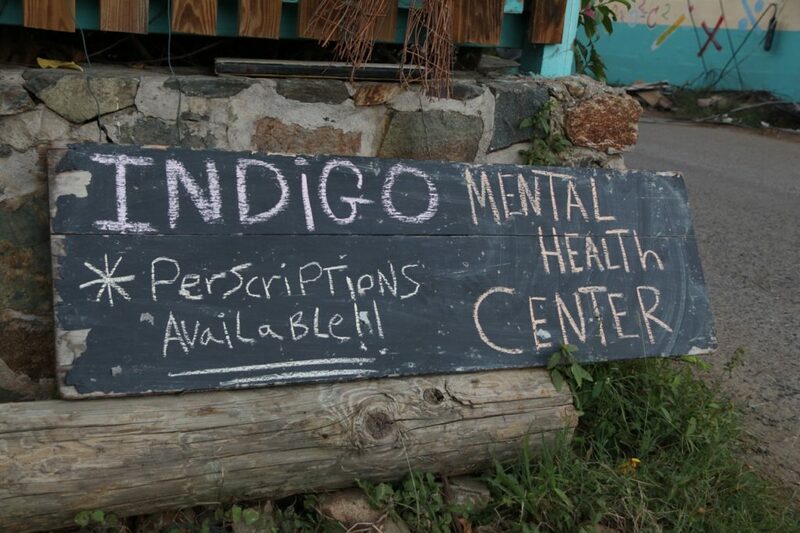 Please stop by, we’re right off the people ferry in Cruz bay. Happy new year!